Warner Bros. has just confirmed to io9 that James Gunn is in discussions to write, with an eye to direct, the next installment of the Suicide Squad franchise. He’ll have a completely new take on the property. This is huge news for a few reasons. First and foremost is the fact Gunn, who was fired from Marvel Studios’ Guardians of the Galaxy Vol. 3, has gone to that studio’s direct rival, Warner Bros. It feels like a very calculated reaction to what many felt was an unwarranted decision (one you can read all about in detail at these links) and creates a whole new chapter in the epic struggle between Marvel Studios and DC Entertainment. Second is the movie at hand. Gunn is reportedly taking a totally new approach to the property so this isn’t exactly a sequel to David Ayer’s Suicide Squad. What exactly that means? We do not know. 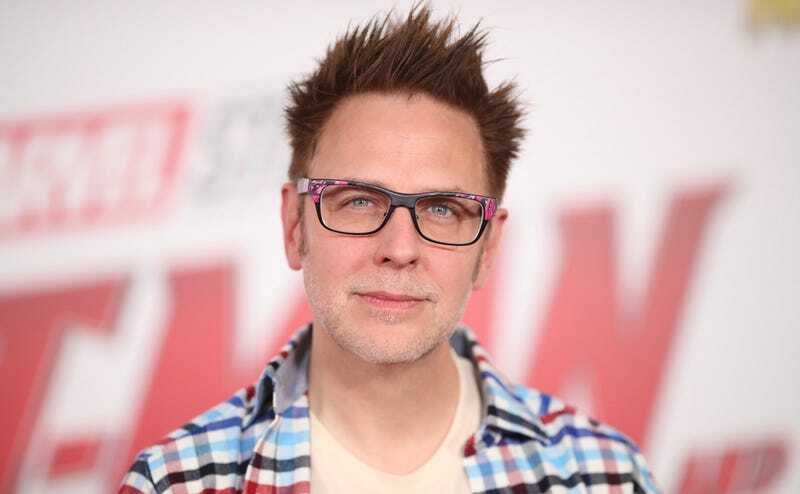 But obviously, from the Guardians of the Galaxy movies, Gunn has proven his ability to make movies with multiple strong personalities work in a comic book setting. Really, who better than to tackle a new Suicide Squad movie? And though, right now, he’s only writing the film, if he ends up directing too, it’s going to become one of the most highly anticipated comic book movies in quite some time (and there are a lot in the works). The new Suicide Squad movie is being produced by Peter Safran and does not yet have a release date. You can read much more about the movie’s journey at the below links.